This is a guest post written by Paramdeep from Pristine. Chandoo.org runs Financial Modeling School program in partnership with Pristine Careers. Visit Financial Modeling School to join our training program. During the interaction, I found that a lot of students were looking for financial modeling around the project financing as well. So we thought why not introduce financial modeling for project finance. In this post I will speak about some of the key aspects of a project finance model and why it can be different from modeling a normal company. What is so Special About Project Finance? An organization is an on-going entity – the basic assumption being that it would continue business for time immemorial. Project finance is different. It exists for a limited duration (though that duration is usually long – 20 to 30 Years!) and the project is structured in a special purpose vehicle (SPV). The SPV exists for a specific period of time and after the purpose of the project is solved, the SPV is dissolved. That means that the horizon of analysis is NOT time immemorial but a known time frame for which the SPV is formed. The other typical difference is that these are long gestation projects, with almost no cash flow in the beginning and a lot of parties involved. This basic difference in the structure creates a lot of issues, Principal – Agency problem because of large number of parties, everybody trying to maximize their returns in a short time, propensity to wait decreases significantly and the initial project gestation period is critical to success of project. I will highlight some of the other key aspects of Project finance. Separate Entity (Parent) and SPV Status – Risk of the transaction is generally measured by the creditworthiness of the project itself rather than that of its owners (Sponsors). Project Finance debt is often termed as “non-recourse”– That means the financial institutions cannot go to the parent level to get their money back. The money has to be generated at the SPV level. Typically these loans are secured by the project assets and the core project contracts. Typically each of these delays would have different affect on the cash flows. For example, if you are implementing a real estate residential project and you are not able to sell the homes – you have incurred all your cash outflows and your inflows are delayed. This would spell doom for the returns. On the other hand, if there is a delay in staring the implementation because of non acquisition of land, typically your cash outflow is not there so the affect would not be that large. Why are delays more relevant for certain kind of investments? Typically for long gestation projects – Roads, Real Estate, Power, Telecom, etc. there is a huge upfront investment. Even if there is a small delay in getting back the cash flows, it makes your project financials look very bad. The Case of ABC Housing Co.
ABC housing company is planning to start the project on 1 Jan 2002 and is expecting to complete the construction over a period of 3 years. The construction cost is expected to be USD 1000 Mn. It is expecting to hold the property for a period of 5 years, in which it would get a lease rental of USD 100 Mn each year. After 5 years, it would sell the property at a value of USD 2000 Mn. If you are planning to incorporate delays in your model, date function comes in very handy. For example, if you are expecting the construction period of 1 year, you can just put this as a parameter in your date (for years) and change his to see, if the construction period increases, what would be the effect on the project IRR. The simple concept I have used here is to make the counter as a counter from the start date. 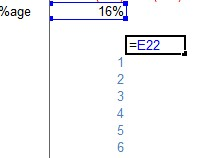 The EOMONTH function calculates the end of month date of the particular month for which the date is given. Now, I want to see if this is a construction year of not, I can just compare the number of years! I am assuming that once the project starts, the cost incurred during the construction period would be uniform. So if the construction is completed over a period of 3 years, each year 33% of the cost is incurred and if it is completed over 5 years, then 20% of the cost is incurred each year. To model this in excel, I compare the current year with the time period when the construction started and allocate the cost. There are two ways in which you generate cash – by lease and sale of property. The cash is consumed by your Capital expenditure. Assuming there are no taxes, cash generated is just a combination of all these. As discussed last time, Internal Rate of Return (IRR) is an important aspect that all investors look at. Once we have the cash, we can simply ask excel to calculate the IRR for us. But in this case, since we have the exact year of cash with us, we will not use simple IRR function, but the XIRR function in Excel. This would take into account that all cash flows might not be at the year end. Now that we have the model with us, we can change the construction period and see its effect on the IRR. 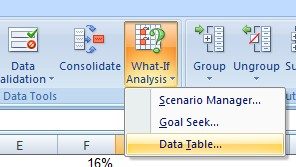 If we want to do a complete scenario analysis, we can used Data Tables in Excel to generate a complete scenario analaysis. Where 1, 2, 3 .. etc are the years of construction and the cell is linked to the IRR that we had calculated earlier. You can see that there is a significant change in the IRR of the project with a change in construction period. So if you construction period is delayed from 3 years to 5 years, your IRR would change from 15.6% to 13.1% (and hence the investor interest would simply die out!!). I have created a template for you, where the subheadings are given and you have to link the model to get the cash numbers! You can download the same from here [mirror]. This series gives you a flavor of how financial modeling is done and an idea about specific nuances in modeling for long gestation projects. In the next part of this, we will learn how the interest payments of a project should be modeled. Hi. I am very interested in taking PF excel modeling courses in the San Francisco area. Any possible ways for me to do this? Thanks! Simply the best place for Excel advice and brilliant downloadable templates. Thank you.